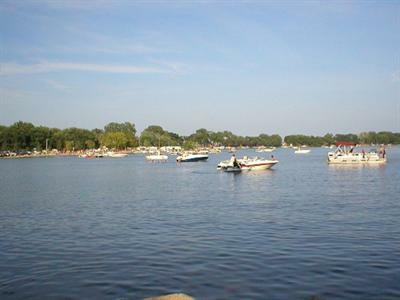 Camp Crescent is a unique, family-friendly campground on the shores of beautiful Black Hawk Lake. 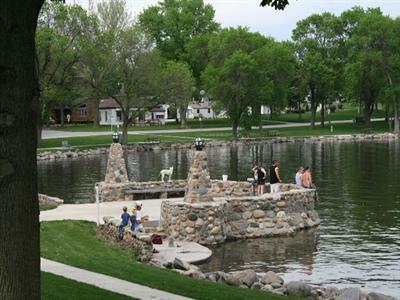 Run by the city of Lake View, this municipal RV park is open from April 15 to October 1 each year. Limited service is available during the month of October, and the park closes November 1. You'll love our great camping activities and fabulous nearby attractions! We have 167 campsites at Camp Crescent and one cozy rental cabin. 74 of the RV sites are full hook-ups with water, electric, and sewer, and 93 sites are water-and-electric only. To better serve our customers, we are creating 20 large full hook-up sites with concrete pads. Construction will take most of the 2014 camping season. Other projects include removal of the bathhouse by the rental cabin. We will be constructing a new bathhouse in the spring of 2015. The rental cabin sleeps up to four and must be booked for at least two nights at a time. While it doesn't have running water, the cabin does have two twin beds and a futon (please bring your own linens). Both smoking and pets are forbidden in the rental cabin. Persons renting the cabin are required to post a security deposit equal to one night's rental fee which is returned if the cabin is found to be clean and in good shape. At Camp Crescent, you can choose from lakefront sites and non-lakefront sites. We offer up to 50 amps of power for our RV guests in full hook-ups sites. With thirty acres, our campground offers plenty of open spaces for camping fun. You can head to the beach, go boating and swimming on Black Hawk Lake, or go bird watching and wildflower viewing on our trails. Tent campers are welcome at Camp Crescent, with one tent permitted per campsites. Pets are also welcome, though we do ask that our guests not bring any aggressive dogs to our Iowa campground. All pets must be kept on a leash while in the park, and must be cleaned up after. 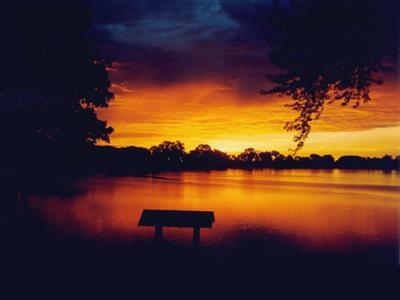 We offer great daily rates at our RV park on Black Hawk Lake. If you stay six nights, you get the seventh night free! Join us today and start having fun with our mini golf, swimming, lake activities, and family-friendly fun.